As I’ve been telling you for years, it’s easy to keep the public on your side if you regularly tout medical “breakthroughs” in the press. The latest innovation. The promise of a cure around the corner. The maybe-could-be discovery that will change the course of disease treatment forever. In this case, a start-up called Tilos has one of those, for cancer. They say it’s an antibody their researchers came across while looking for a cure for MS. They stumbled on to it by accident. Aha. Somehow, this antibody helps the immune system to recognize and wipe out cancer cells. It produces “a memory” in immune-system cells, and they are ready to go to war when cancer arrives. Or something. It’s hard to say. The people at Tilos are, naturally, very enthusiastic. So forthwith, I give you an assignment. Keep track of stories about this amazing antibody as time passes, and see whether it ever a) becomes a real cancer treatment, and b) does any good. Or c) disappears down the memory hole, never to be heard from again. I’m betting on c. Why? Because I’ve watched a number of these flashes dim out quickly and recede into nowhere land. And because, in this case, the company is very far from being able to fashion the antibody into a ground-level treatment. Of course, it’s possible that, on the basis of the recent gaudy announcement, Tilos could pick up some investor funding, but funding isn’t a disease treatment the last time I looked. Good press vs. bad press comes down to: how much can you pay; who do you know; how much advertising can you afford to buy; what official expert can you bring on board to vouch for you; is your product a drug rather than a detested natural non-patentable substance; can you do officially recognized clinical trials; are you connected with a favored group (university, research foundation, federal facility, pharma lab) who can obtain publication in a well-known medical journal. Or are you a dreaded INDEPENDENT? Of course, on another front, the major media, who depend for their existence on pharmaceutical advertising, take the ball and run with it. The networks and major newspapers seek out “experts,” who emphatically state that what Jesus of Nazareth “performed” in the stadium was mere hypnotism. It was all a placebo effect. Whatever sudden “remissions” may have occurred are just temporary. Tragically, the cancers will return. What would be the alternative or the adjunct to licenses? The two men acknowledge that no liability will be attached to the outcome. In other words, whether Jim get better or gets worse, no one is going file a suit. No one is going to go to the government for redress of wrongs. Because then and now, the government, in its throne of corruption, wants to protect its proprietary and illegal interests. Posted on May 23, 2017 May 23, 2017 Categories News, Scientific Suppression & ManipulationTags Big Government, Big Pharma, Cancer, Chemo, Corruption, Dr. Stan Burzynski, Dr. William Koch, Jesus, Royal Rife, Scientific SuppressionLeave a comment on Would The Government Let Jesus Cure Cancer? Results: A total of 415 mothers provided data on 666 children, of which 261 (39%) were unvaccinated. 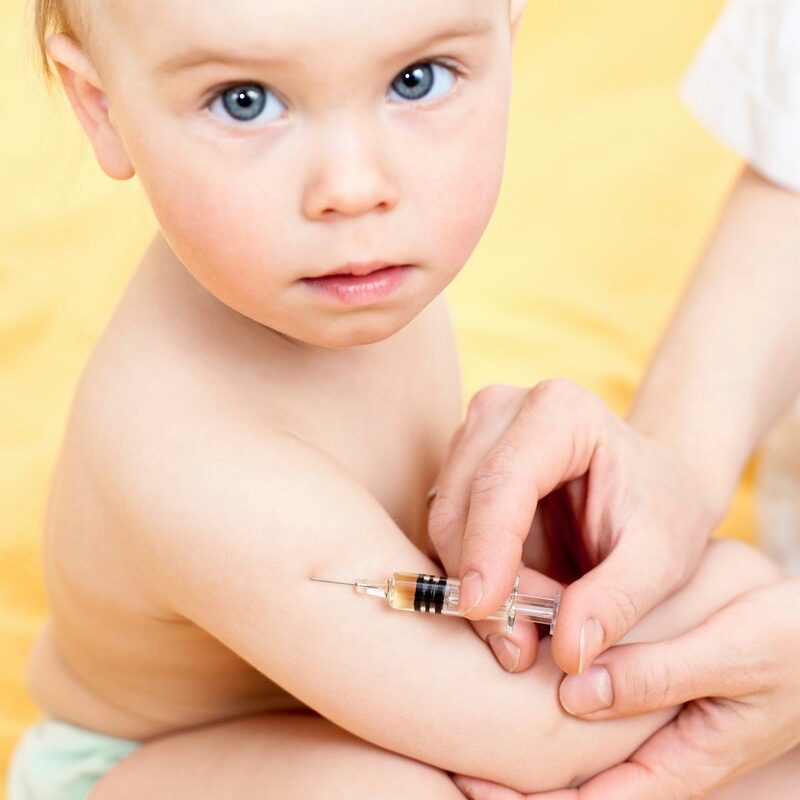 Vaccinated children were significantly less likely than the unvaccinated to have been diagnosed with chickenpox and pertussis, but significantly more likely to have been diagnosed with pneumonia, otitis media, allergies and NDDs (defined as Autism Spectrum Disorder, Attention Deficit Hyperactivity Disorder, and/or a learning disability). After adjustment, the factors that remained significantly associated with NDD were vaccination… male gender… and preterm birth. In a final adjusted model, vaccination but not preterm birth remained associated with HDD, while the interaction of preterm birt and vaccination was associated with a 6.6-fold increased odds of NDD…. Conclusions: In this study based on mothers’ reports, the vaccinated had a higher rate of allergies and NDD than the unvaccinated. Vaccination, but not preterm birth, remained significantly associated with NDD after controlling for other factors. However, preterm birth combined with vaccination was associated with an apparent synergistic increase in the odds of NDD. The paper was peer-reviewed by Linda Mullin Elkins, a chiropractor at Life University, and Kelly Hsieh from the University of Illinois at Chicago. It was edited by Amit Agrawal at Gandhi Medical College in India. Not only has the first study into vaccinated versus unvaccinated children been unpublished by Frontiers In Public Health, but a cached version available on internet archives has also been removed, suggesting there is a serious campaign to stop members of the public from viewing the study. However a screenshot of the abstract was saved before it was scrubbed from the internet. What is amazing to me here is the duplicitous nature of “big medicine” itself. Doctors rely on a day-to-day basis of the reports of their clients, or their clients’ parents, on the nature of symptoms, and through careful question and answer, arrive at diagnoses. In other words, in the daily practice of medicine, doctors rely on the anecdotal testimony of their patients. Most patients won’t walk into their doctors’ offices and relate that they need an x-ray because they suspect they have a crack in their right femur that is causing them pain, or announce that their headaches are due to the beginnings of a glioblastoma multiform. But they will relay information of an informal nature, and that informal nature of the information is not dismissed simply because it is relayed by a “non-professional” without medical credentials or peer review. But “big medicine” and “big pharma” would have us believe that when several such stories are relayed – by mothers whose children were vaccinated and who ended up on the autism spectrum – that this is merely anecdotal and of no evidentiary value at all. Merely to collect and publish such information is now apparently “fake science” and to be “scrubbed” from people’s ability to scrutinze and evaluate the evidence from themselves, thus removing one key component- the patient him- or herself – from the entire process, making ‘big medicine’s” own pronouncements rather moot. We’ll see how long that story lasts when the first class action suits start to hit them, and juries, rather than bought-and-paid for “science” in journals, have to decide the question. DESCRIPTION: Billions in fines for bribery and suppressing data may just be the cost of doing business for drug companies, but surely doctors themselves have more integrity. Corporate collusion and secret backroom dealings between at least two editors from the journal Food and Chemical Toxicology (FCT) and biotechnology giant Monsanto are what ultimately led to the unwarranted retraction of a major study showing that Monsanto’s NK603 “corn” and corresponding herbicide glyphosate (Roundup) cause cancer in mammals, new Freedom of Information Act (FOIA) requests reveal. Never before has a paper been pulled for this reason, so naturally many have speculated as to the possible outside influences that may have swayed this unconventional decision. Now, thanks to the probing efforts of Stephane Foucart from the French paper Le Monde, it’s become apparent that Hayes, along with fellow “associate editor” Richard E. Goodman, rigged the second peer-review process that led to the paper’s withdrawal, all for the purpose of placating Monsanto. Goodman, a former Monsanto employee, was mysteriously hired on at FCT not long after Seralini’s paper was first published, and roughly a decade after he supposedly parted ways with Monsanto. 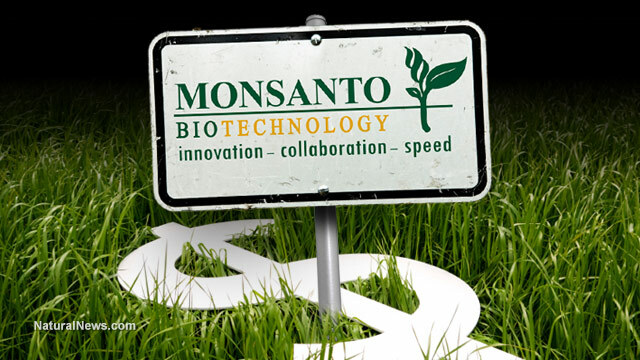 But FOIA documents show that Goodman never really left Monsanto, according to a now-uncovered email showing that about half of his salary was still coming from biotechnology companies for private consulting work years after his departure. Even in the years leading up to the Seralini study’s publishing, Goodman had maintained close ties with Monsanto, working as one of its henchmen to keep tabs on articles and studies that questioned its products, which included the Seralini paper. Goodman’s now-released private emails show that he had asked Monsanto for talking points on refuting the paper just days before he was hired on at FCT under the appointment of Hayes. Hayes had apparently helped keep this appointment a secret until February 2013, and we now know that during that time he worked alongside Monsanto to set up a new, non-transparent peer-review group to rip apart the Seralini paper so that it could be pulled from the journal. GM Watch explains how Hayes essentially played a “double role” in ensuring the paper’s retraction. “My request, as editor, and from Professor Goodman, is that those of you who are highly critical of the recent paper by Seralini and his co-authors volunteer as potential reviewers,” Hayes wrote in an email to Monsanto. So, after a legitimate and honest peer review by independent academics and scientists overwhelmingly approved Seralini’s study, getting it published the proper way, Hayes and Goodman conspired to set up a second, Monsanto-stacked “peer review” to have it unpublished. It’s corruption at it’s finest, and it hasn’t stopped at FCT. According to GM Watch, Hayes has continued to block scientific research that even remotely questions the safety of genetically-modified organisms (GMOs) and crop chemicals, including a later study on Monsanto’s MON810 corn, which was shown to harm the Daphnia magna waterflea, a small, freshwater crustacean. The waterflea is often used as a model organism by ecotoxicologists. The paper that demonstrated MON810’s toxicity in the species was simply too “controversial,” which is why it was never published in FCT. And who do you think was behind its rejection? None other than Goodman himself, under the direction of Hayes. Though the paper was later published in another journal in 2015, the conspiratorial nature of FCT’s new Monsanto-directed “peer review” process remains the same. Goodman has since resigned from FCT, but his superior, Hayes, a Monsanto-affiliated hack himself, continues to censor sound science from the journal he oversees. Hayes currently serves as senior science advisor at Spherix Consulting, a global team of advisors that furnishes pharmaceutical and other industries with “scientific solutions that result in regulatory success.” In other words, Hayes makes sure that clients like Monsanto are happy, and that their products are always presented in the most positive light. “Hayes’s interests and Goodman’s current Monsanto connections should have precluded them from having any authority over the fate of the Seralini study and other studies submitted to FCT,” Claire Robinson writes for GM Watch. To learn more about how to grow your own GMO-free food at home, check out the Mini-Farm Grow Box system.